MONTREAL, QUEBEC – August 8, 2018 – Imperial Mining Group Ltd. ("Imperial") (TSX VENTURE: IPG) is pleased to announce the start of its 2018 exploration program on the 100% owned Opawica Gold project in the Abitibi region of northwestern Québec (Figure 1). The $150,000 program will focus on extending known gold and silver mineralization along a NE-striking, 75-100 m wide deformation corridor hosting several highly altered shear zones. The shear zones are mineralized with quartz-carbonate-sulphide veins and veinlets containing strong gold and silver values with occasional visible gold ("VG"). Previous work on the property identified a 350 m long gold-bearing zone in the central part of the property which was never drill-tested below the 150 m vertical level. "The Opawica project offers Imperial and its shareholders an opportunity to evaluate the economic potential of a relatively unexplored gold property in rocks we believe to be the western extension of the Joe Mann Mine horizon in the Chibougamau gold-copper camp," said Imperial's President & CEO, Peter Cashin. "The Joe Mann Mine produced nearly one million ounces of gold and byproduct copper since the 1950s and returned some of the highest average gold grades of any mine on Quebec's side of the Abitibi Greenstone Belt." 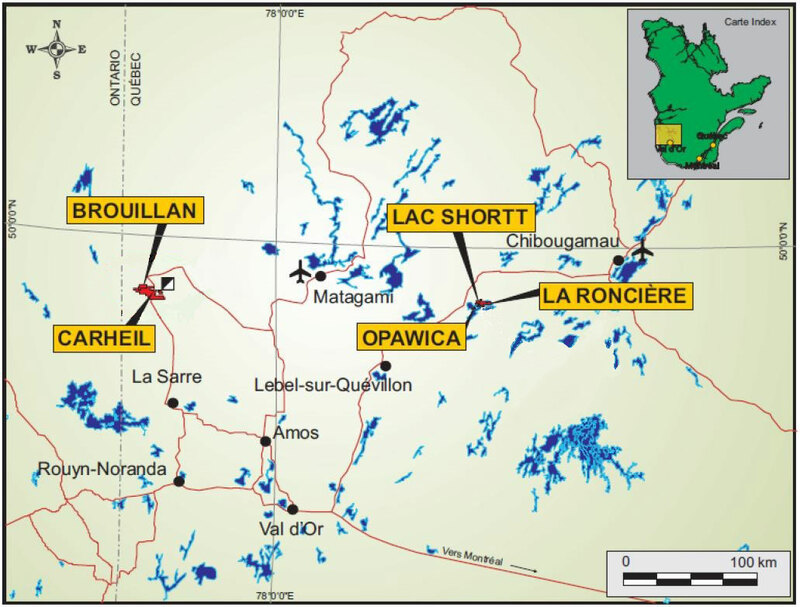 The Opawica gold property is located 20 km east of Desmaraisville and is accessible via Highway 113 from Val d'Or to Chibougamau, Quebec, and by a network of forestry roads. The technical content in this press release was provided and certified by Pierre Guay, P. Geo., Imperial's Vice-President, Exploration, a Geologist and Qualified Person as defined by NI 43-101. 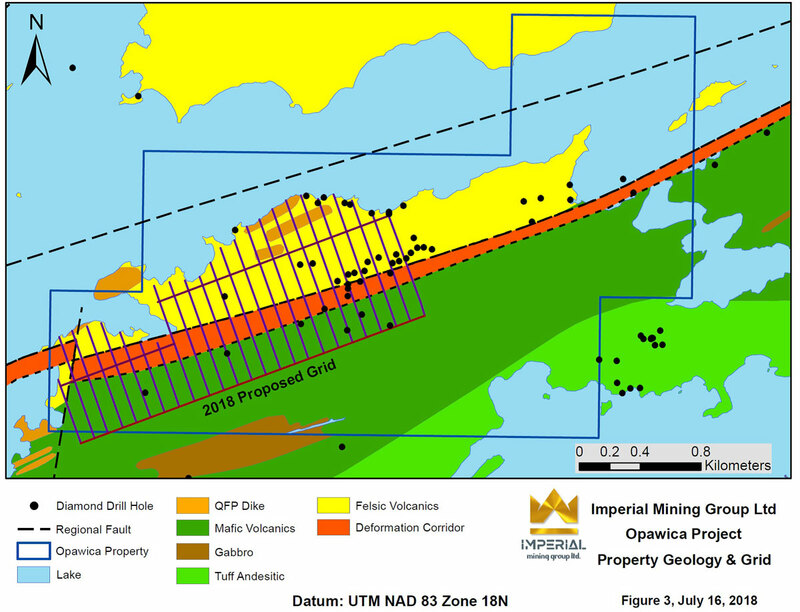 Imperial is a new Canadian mineral exploration and development company focused on advancing its copper-zinc, gold and technology metals properties in Québec. Imperial is publicly listed on the TSX Venture Exchange as "IPG" and is led by an experienced team of mineral exploration and development professionals with a strong track record of mineral deposit discovery in numerous metal commodities.